Valley Grange is a proud supporter of the “Keeping Our Communities Warm” project sponsored by The JD Foundation in Abbot ME. This is an opportunity for area kids and families to secure winter clothing at little or no cost. The event is run much like a “yard sale” but the prices can be as little as a smile. This year the “sale” will take place on Saturday, October 13th at 107 Main Street in Abbot (right at the four corners). If you’d like to help us get the word out, you can download and print the Keeping Warm Flyer. Donations are of course needed and accepted… hats, coats, mittens, boots, ski-pants, scarves… in all sizes and for all ages. Let’s all work together to get ready for winter and keep our communities warm! For more information visit the JD Foundation website. Thanks for helping with keeping our communities warm! We’re currently gearing up for Dictionary Days during which every third-grader in SAD 4, 68, and 41 are given their own personal dictionary. Piscataquis Community Elementary School will visit the Grange Hall on October 16th and SeDoMoCha will visit on November 5th. A team of Valley Grangers visits SAD 41 on November 2nd, making stops at Marion C. Cook, Milo, and Brownville Elementary Schools. 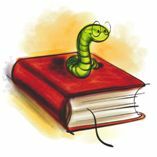 A bookworm assembly is scheduled for October 10th to kick off our Bookworm Program. Grange Bookworms will be visiting Piscataquis Community Elementary School twice weekly to read with second and third graders. The more you read, the more you know! Valley Grange supports the JD Foundation’s annual Keeping Our Communities Warm Project held at 107 Main Street in Abbot from 8 AM until 4 PM. The project provides low and no cost winter clothing to folks who need a little help keeping warm. Donations are appreciated. This year’s project is scheduled for October 13th from 8:00 AM until 4 PM. For more information contact Cheryl Morin at 207-876-2295 or visit www.thejdfoundation.org. On November 16th we will feature Allagash Tails and Tales, a multimedia presentation narrated by local author and former Waterway Supervisor Tim Caverly. The show includes music, scenic and historic photographs as well as stories detailing Tim’s personal experiences while living in the woods. This is an opportunity to experience the Allagash in a whole new way and become familiar with Tim’s work with schools. Join us for a potluck supper and book signing at 6 PM before the meeting at 7 PM. While it’s probably too early to start counting how many days remain until Christmas, it’s not too early to mark your calendar for another one of Valley Grange’s successful collaborations with Penquis. On December 1st, our organizations will join hands to sponsor a BBQ and Bluegrass Event to benefit the Piscataquis Santa Fund. We’re turning this into a family friendly event that will feature great food and great music. Save the date! These are just a few highlights… you can always download a copy of the 2012-2013 Schedule right from here. 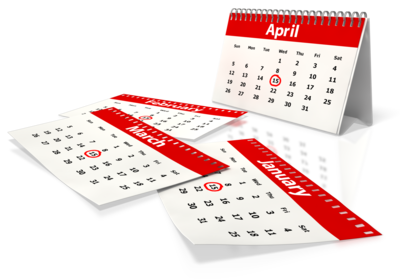 Remember that dates and details can change–particularly when meetings are planned well in advance. Check back when making your plans! Angela Hobson, South Sangerville Grange has asked us to help publicize this… Valley Grangers and friends who’d like to participate can also bring hats to the Valley Grange Hall at any meeting or event, including our meeting on October 19th–we’ll make sure the hats get to Penquis! South Sangerville Grange is supporting the “Click for Babies” program–a drive to create knitted or crocheted PURPLE caps for newborn boys in and girls. The project is designed to help educate parents about the “Period of Purple Crying,” a normal, but frustrating period of increased crying all infants experience in the first few weeks and months after birth. Granges in the Piscataquis and Penobscot area should get their purple caps to the Penquis Office in Bangor (262 Harlow Street) or Dover Foxcroft (50 North Street) by October 26, 2012–Caps will be distributed in November and December. Caps can also be mailed to Wendy Pace, Penquis, PO Box 1162, Bangor ME 04402. You can download a Purple Hats Poster from this site and visit the CLICK for Babies website for additional information including patterns. Let’s hear some clicking! We’re getting organized for another series of Dictionary Days when we blanket the area with free dictionaries for Third Graders! We’re starting to contact schools to get counts… and lining up dates to visit schools. Oh boy! Thanks to our communities for your continuing financial support of this program… and to our school adminstrators and teachers for making this an important part of the school year. A HUGE thanks to the kids who are always so excited and appreciative! Post moved from the top of the blog while we await the results from State Sesion! Update, 10/1–Resolution has been assigned to the “Good of the Order” Committee for discussion and recommendation. Update, 9/12–Resolution has been supported unanimously by Valley Grange and Piscataquis Pomona and has been officially submitted to Maine State Grange Headquarters. Valley Grange is sponsoring a resolution within the Grange organization to “Protect the photographs of and information about children.” This post will remain at the “top” of our site through state conference in late October and include occasional updates and information regarding both the resolution and the issue. One reaction that’s been interesting is how many people have not given much thought to the issue, perhaps because we do not like (or fully understand) the impact of technology on the world we are living in. 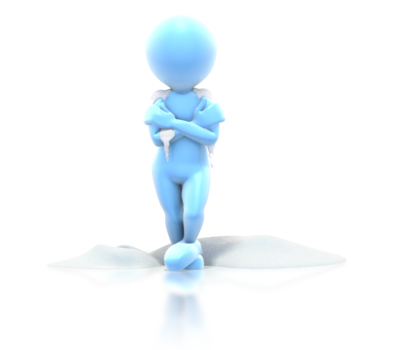 The unfortunate fact is, for a number of different reasons, an increasing number of parents are not anxious to have photos or information regarding their children posted on the Internet where it is instantly available to billions of people. This resolution effectively asks our organization to consider how we might accommodate those preferences. Note this resolution is not Grange Policy–it asks our organization to create one. Equally interesting is how, once sensitized, many people agree this is an area of concern. We are seeing interest in this resolution developing from outside Maine and, while we may bemoan the need we can laud the concern. The following links will offer at least an introduction… As the author of the resolution, I would strongly urge parents to consider reading the book “Talking Back to Facebook” by James P. Steyer. It will help you understand and think through how you will help, protect, and teach your child about some of the impacts of technology. Another good source of information is Common Sense Media. Piscataquis Pomona members voted unanimously at their September 6th meeting to support the resolution written and submitted by Walter Boomsma, program and publicity director for Valley Grange. Valley Grange members voted unanimously to support the resolution at their August meeting. Read the original post explaining this resolution and some resources for further information and consideration. A “Different” Kind of Radio! Actually, Internet radio has been around for a while–a somewhat simplified explanation is that instead of broadcasting over the airways, programming is “broadcast” over the Internet and you listen using your computer, smartphone or other similar device with wifi access. Internet radio stations can be started with minimal investment and, from a listener’s perspective, there are almost unlimited choices in format. One other aspect is that listening isn’t dependent on being physically close to the station—it’s possible to listen to stations that are located halfway around the world. With that as brief background, I was excited to discover we have such a station right here in the Sangerville–Dover Foxcroft area. Founded and run by Michael Smith of Sangerville, Acadia Radio operates as a non-profit with volunteeers working hard to develop a “local presence.” The station has offered to run PSAs (Public Service Announcements) and news for the Grange. September 2012 marks the second annual National Childhood Obesity Awareness Month which focuses public attention on the issues related to childhood obesity. It is a month to set goals for all family members that include regular physical exercise and good nutrition. Childhood obesity is a national epidemic. Childhood obesity is the result of eating too many calories and not getting enough physical activity. More than 23 million children and teens in the United States are obese or overweight. According to Maine Kids Count 2012, a project of the Maine Children’s Alliance, 12.9% of Maine children ages 10-17 are obese and 15.3% of Maine children ages 10-17 are overweight. Childhood obesity puts nearly one third of America’s children at early risk for Type 2 diabetes, high blood pressure, heart disease, stroke, heartburn and GERD, high cholesterol, fatty liver disease, breathing problems like sleep apnea and asthma, and musculoskeletal and joint problems! Many factors contribute to childhood obesity. American society promotes increased consumption of less healthy foods and physical inactivity. Many students in middle school and high school have access to sugary drinks and less healthy foods through vending machines, at sporting events, and at school parties. Many schools allow advertising of sugary drinks and unhealthy foods on school property. American media advertises less healthy foods high in sugar, salt, and fat and low in nutrients. There is limited access to healthy, affordable foods and greater availability of high calorie foods and sugary drinks, Children ages 8-18 spend over 7 hours per day watching TV, on computers, or playing video games. Many children eat meals and snacks in front of the TV. Children are exposed to ads which lead them to make unhealthy food choices. In the typical United States day, 80% of children drink sugary drinks. Fewer children are engaging in regular physical activity. Many schools are no longer offering daily physical activity. Half the children in the United States do not have a park or a community center in their neighborhood. Portion sizes have increased. Advertising promotes the “super sized” meal and portion. If you are concerned that your child may be overweight, talk to his or her doctor. Start by making small changes and setting realistic goals. Be a good example for your child. Limit your child’s screen time. Introduce healthier food choices like fruits and vegetables instead of cookies for snacks. Pay attention to portion sizes and fill half your plate with fruits and vegetables. Switch to whole grain products. Limit salt. Switch to fat free or low fat milk and cheese. Drink water instead of sugary drinks. Cook at home frequently. Participate in physical activity for at least 60 minutes per day. 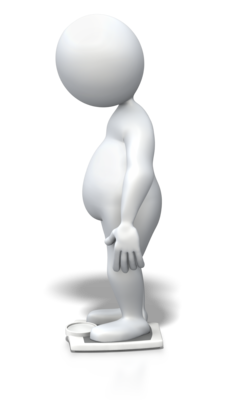 Remember, overweight children often become overweight adults! For more information, visit MyPlate.gov, ChooseMyPlate.gov, www.usda.gov, let’smove.gov, and www.cdc.gov. Who doesn’t love the energy associated with the back to school season!? Bookworms are organizing… so far this year Mrs. Marsh, Mrs. Erwin, Mrs. Bosworth and Mr. Boomsma will be returning. Mrs. Annis continues to be our scheduler and Mrs. Boomsma and Mr. Kevin will fill in when possible. We are also hoping to welcome two new bookworms: Mrs. Wright from Dover Foxcroft and Mr. Patterson from Abbot. We’ll be able to do lots of reading! Grange members who are interested in helping out should contact Mr. Boomsma for more information! 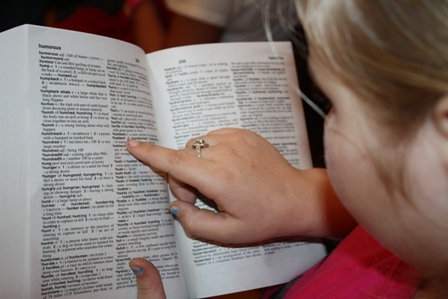 We’re also busy counting our dictionaries–Thanks to our Words for Thirds Program, Dictionary Days are coming soon! Our goal is to make sure that every third grader in the area has his or her own dictionary–last year we gave our 1000th dictionary! Our largest fundraiser for this program is our annual fall “Meat or Heat” Raffle which will be starting soon. Make sure you get your ticket and your chance to win $100 you can use for meat or heat! Friday, September 21 –Grange members meet for a roundtable discussion of programs and projects during the next year… members are encouraged to bring their calendars, ideas and energy! Potuck supper is at 6 PM, meeting is at 7 PM.